Next review Omega Xl - Buyer Beware of Autoship Deals!!! Jul 08, 2015 We are glad to hear your report that OMEGAXL has been helpful for you. Our Customer Advocacy Group attempted to contact you in order to provide the additional information you requested. However, we are unable to locate a customer with a name spelled "Marilyn Saenz". You are welcome to provide additional contact information here or to contact our Customer Advocacy Group directly at 1-800-607-0419 or cagsupport@greathealthworks.com. We look forward to hearing from you. 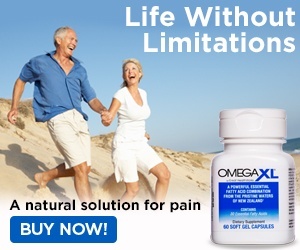 I have found that a person with Arthritis, Fibromyalgia and a person with ex Cancer patient I tried Omega XL and it has worked for me. I was felt that Army had march over my body during the night. I would like to know what else is in this pill besides the oil also take Coumadin. Please call and talk to me about the ingredients. I have 4 people that need an antinflmatory. Me under Marilyn Saenz Thanks. Review #659496 is a subjective opinion of User659496.